Dar Al Fouad Hospital (DAFH) has a unique system for medication management among the healthcare organizations in Egypt. The hospital has a big central pharmacy providing high quality medication service with affordable cost for both in-patient and out–patient departments. Besides providing ordinary medicines for the patients, the pharmacy provides the admitted patients chemotherapeutic medications and Total Parenteral Nutrition (TPN) prepared by qualified pharmacists. 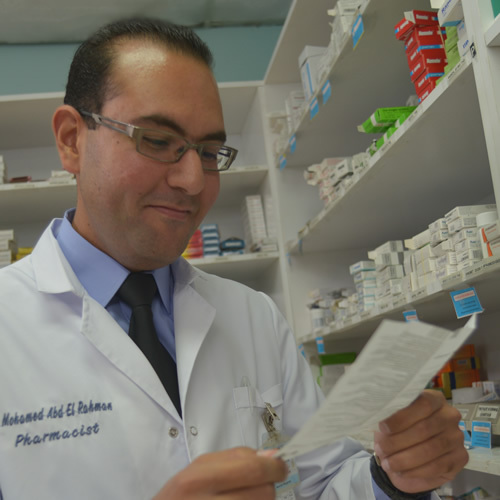 In addition to that, DAFH presents a ward-based pharmacy service applying the unit – dose dispensing system, a standard of practice at hospitals in United States, staffed by well- trained ward pharmacists providing accurate medication and high quality care for all admitted patients. The pharmacy prepares the chemotherapy drugs for all oncology cases bearing in mind all the healthy precautions, besides using the recent preparation equipment.